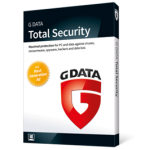 G DATA Software AG, with its head office in Bochum, is an innovative and quickly expanding software house focusing on antivirus security solutions. As a specialist in Internet security and pioneer in the field of virus protection, the company, founded in Bochum in 1985, developed the first antivirus program more than 20 years ago and celebrated its 25th birthday in 2010. 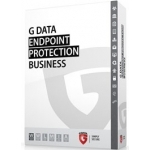 Consequently G DATA is amongst the eldest security software companies in the world. Over more than five years, no other European security software provider has won national and international tests and awards more frequently than G DATA. 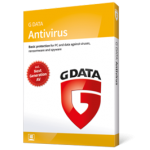 When it comes to quality, G DATA is a world leader, combining the world's best security technologies in its antivirus products. Examples of this are its DoubleScan technology, with two independent virus scanners, and OutbreakShield instant protection. 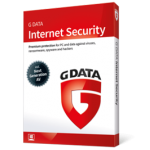 G DATA security solutions are available worldwide in more than 90 countries. 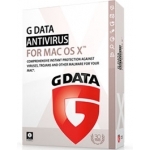 Ελάχιστη ποσότητα για το "GDATA Antivirus Business" είναι 5". Ελάχιστη ποσότητα για το "GDATA Client Security Business" είναι 5".